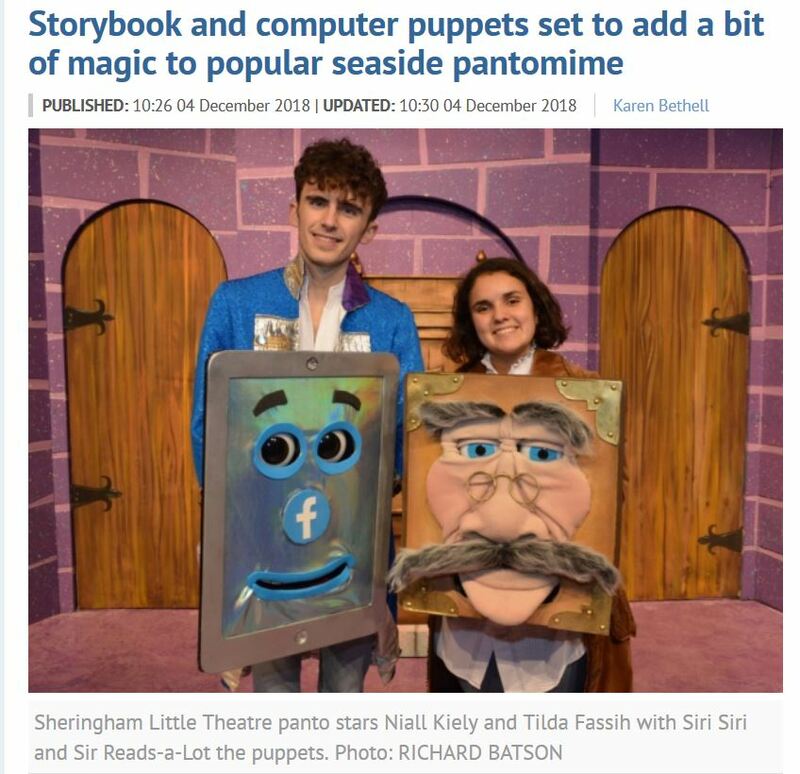 Panto season is just around the corner and once again I’ve been commissioned to create puppet characters for Sheringham Little Theatre. This year was particularly challenging in that the characters requested were an enchanted book and a computer tablet, two ‘boxy’ shapes with little dynamic to play with characterisation. The puppets had to be both lightweight enough to be operated for a 90+ minute production as well as being robust enough to survive the demanding number of shows in a seasonal production such as this. 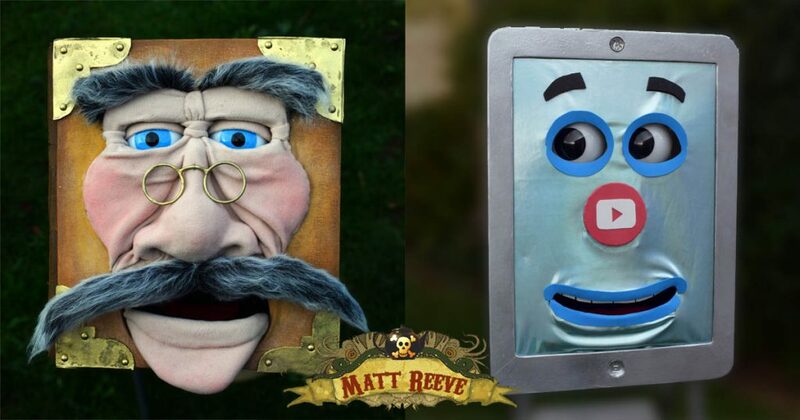 3D eyes that could move side to side were requested as well as a hand operated or ‘muppet’ style mouth. Using a linear linkage on a twisting handle to create the eye movement worked out well. Also incorporated were a series of replaceable noses for the tablet character as well as a light for taking selfies.